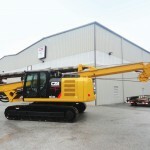 The EK240SM from CZM Foundation Equipment is designed for high performance and versatility. 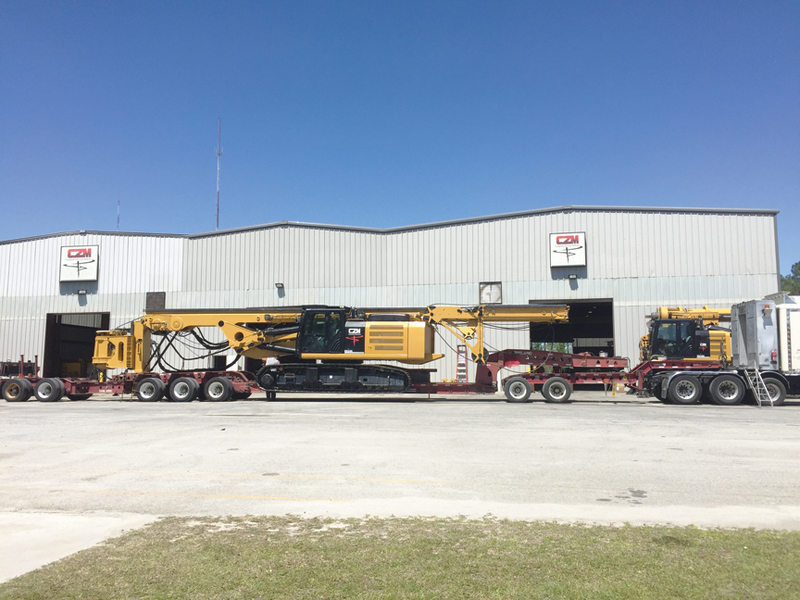 This reliable drilling rig is mounted on a CAT336HHP Tier IV base, keeping the operation and maintenance extremely friendly and efficient. 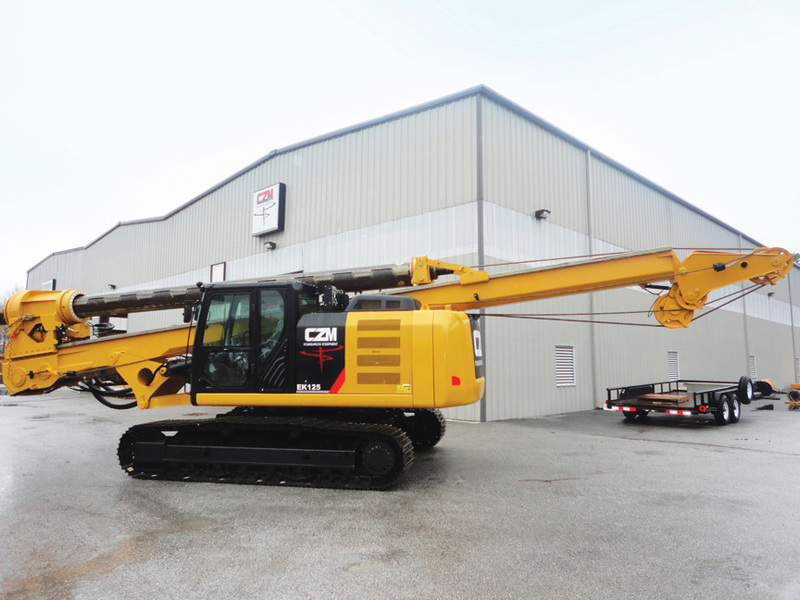 CZM’s EK240SM is mounted on a CAT 336 HHP (Tier IV) base, and delivers maximum torque of 209,800 lbf.ft, a drilling depth of 95 feet, and 156 inches of drilling diameter. With a working height of just 31 feet, this is the ideal high-power machine for low clearance/restricted height drilling projects. 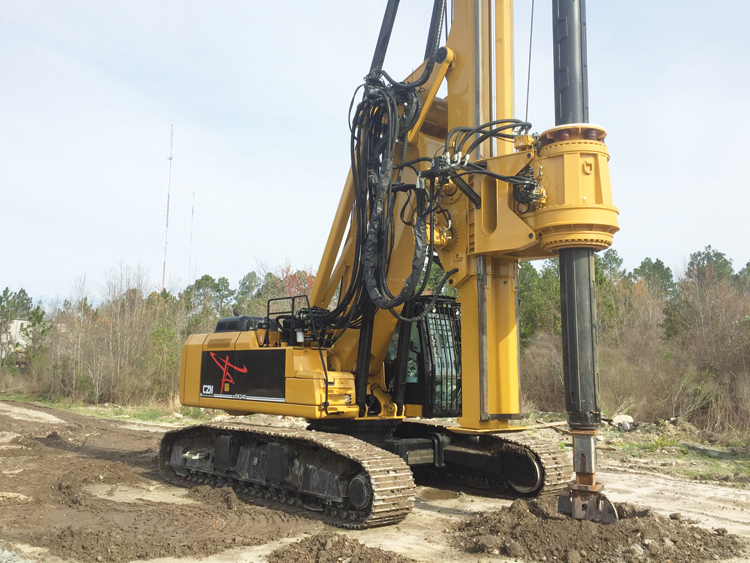 The EK240SM is designed for use in a wide range of foundation drilling applications, including bridge foundations, transmission lines, high-rise commercial buildings, elevated highways, and more. The robust design of the EK240SM rotary is a result of the largest inner passage diameter in its class, which allows this model to deliver higher drilling torque, the use of stronger Kelly bars, and longer lifetime of main components. 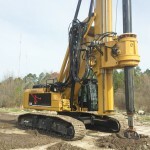 The larger inner passage is a main feature of CZM’s unique, patented “Bottom Drive CFA” mechanism, and allows the rig the versatility of fast, easy and economic conversion for different applications such as Standard Kelly Bar to Low Clearance, CFA and also displacement piles. 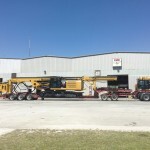 The combination of hydraulic extended crawlers, centralized parallelogram, and a mast made of lightweight/high-yield strength “Weldox” steel, makes the EK240 SM a very stable and safe machine to operate.